This is sure to exacerbate fears that Facebook will further exploit Instagram now that its founders have resigned. Instagram has been spotted prototyping a new privacy setting that would allow it to share your location history with Facebook. That means your exact GPS coordinates collected by Instagram, even when you’re not using the app, would help Facebook to target you with ads and recommend you relevant content. Worryingly, the Location History sharing setting was defaulted to On in the prototype. The geo-tagged data would appear to users in their Facebook Profile’s Activity Log, which include creepy daily maps of the places you been. A Facebook spokesperson tells the Media that “To confirm, we haven’t introduced updates to our location settings. As you know, we often work on ideas that may evolve over time or ultimately not be tested or released. Instagram does not currently store Location History; we’ll keep people updated with any changes to our location settings in the future.” That effectively confirms Location History sharing is something Instagram has prototyped, and that it’s considering launching but hasn’t yet. As part of a 2011 settlement with the FTC over privacy violations, Facebook agreed that “Material retroactive changes to the audience that can view the information users have previously shared on Facebook” must now be opt-in. But since Location History is never visible to other users and only deals with data Facebook sees, it’s exempt from that agreement and could be quietly added. Most users might never dig deep enough into their privacy settings to turn the opt-out feature off. 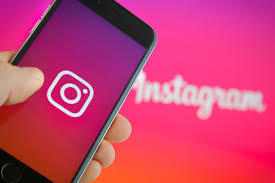 Sources told the Media that Instagram founders Kevin Systrom and Mike Krieger left the company following increasing tensions with Zuckerberg about dwindling autonomy of their app within the Facebook corporation. Systrom apparently clashed with Zuckerberg over how Instagram was supposed to contribute to Facebook success, especially as younger users began abandoning the older social network for the newer visual media app. Facebook is under pressure to keep up revenue growth despite it running out of News Feed ad inventory and users switching to Stories that advertisers are still acclimating to. Facebook is in heated competition with Google for last-mile local advertising and will take any advantage it can get.